Clear Creek Reservoir is located southeast of Winslow in northern Arizona. Two miles or so up the lake from the Highway 99 bridge, several large rock walls and concrete foundations can be seen. Those ruins are the remains of an old pump station that once delivered water to the Santa Fe Railroad yard and the town 5 miles away. There does not seem to be a lot of information about the pumping operation. David Myrick's "Santa Fe Route" only mentions Clear Creek as a water source and makes no mention of the facility. 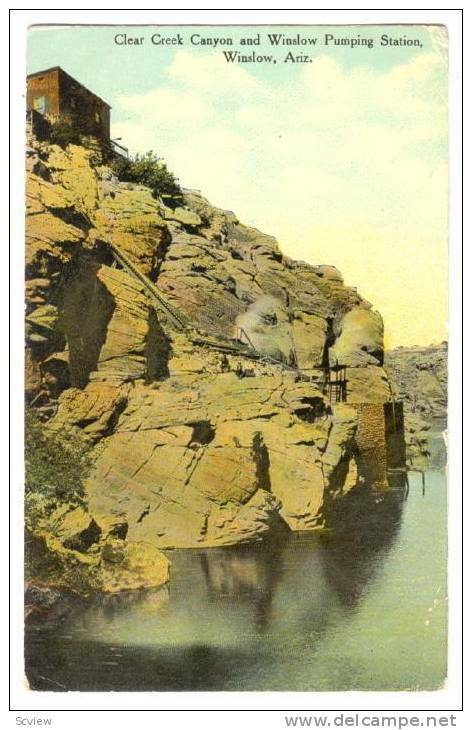 The only photos that I have been able to locate are postcards from the early 1900's and a photo of the plant at some later time that was used in a 2002 calendar published by the Winslow Historical Society. This is what I have been able to piece together about the history of the station. It was constructed in 1898 and was coal fired. 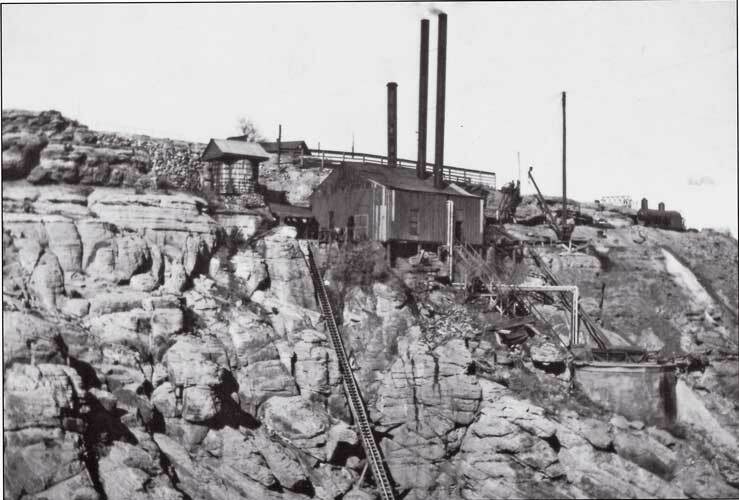 The pumps were located at the bottom of Clear Creek Canyon. The best known feature of the plant was a 1000 step staircase down from the rim. 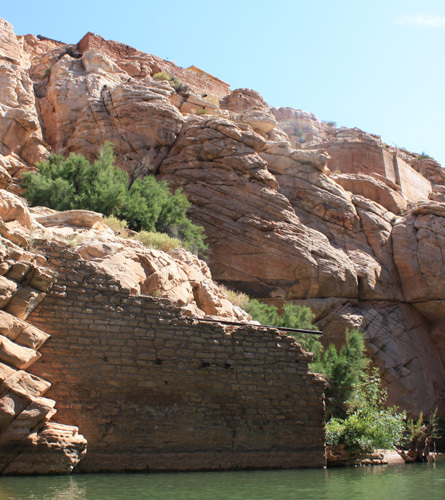 At some later time, the pumps were moved away from the canyon bottom. I do not know how long the facility was in operation. A newspaper article in 1949 describes an incident in which an elderly lady wandered away from her home at the pumping station. One of the volunteers at the "Old Trails Museum" in Winslow said that she thought that the pump operation may have run into the 1960's. The pump station is now classified as a "brownfields" polluted site containing a variety of hazardous materials. Photo of unknown date. Courtesy of Winslow Historical Society. Click on Photo to Enlarge. Today, only a skilled rock climber would be able to move from the rim to the canyon bottom at the pump site. After looking at the ruins from below from my kayak, I returned to my truck and then drove south from Highway 99 and walked about a mile over to the canyon's edge to look the area over from above.